For 12-year-old Callum Ullman-Smith, newts win. "Palmate newts are definitely my favorite," he tells The Dodo. "They're just such fascinating creatures." 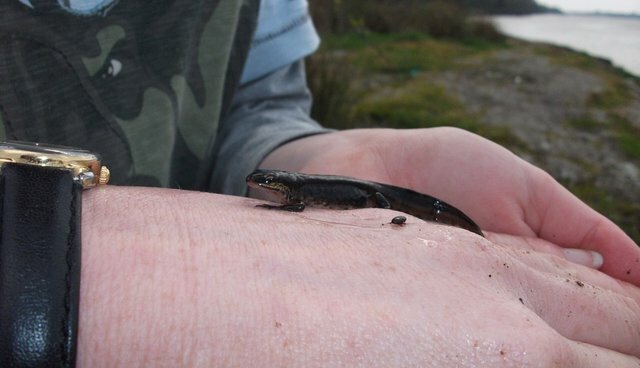 The William Wallaces of the amphibian world, palmate newts thrive in Scotland despite harsh winters and "predators that like to snap them," as Callum puts it. Callum's not your average amphibian fan, however. 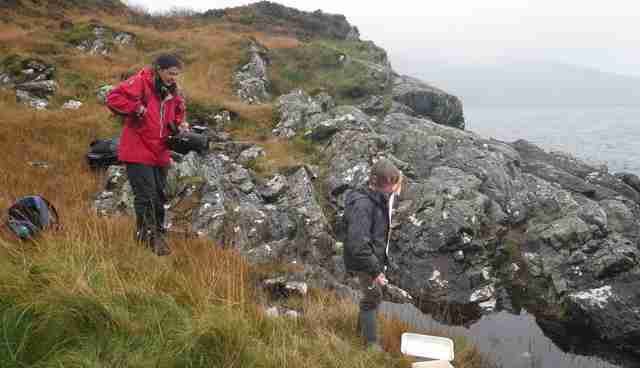 Over the past three years, he's been surveying palmate newts in ponds in the Scottish Highlands, checking in on the populations about once a month. Callum recently presented his findings, along with some of the top newt experts in Europe, at the Amphibian and Reptile Conservation Symposium in Edinburgh. A conservation biologist with Scottish Natural Heritage, David O'Brien, helped kickstart Callum's interest in newts, says Janet Ullman, an ecologist and Callum's mother. She describes them like a pair of would-be superheroes: "If Cally's 'The Newt Boy', David's 'The Newt Man.'" O'Brien, who has been studying amphibians in Scotland for the past decade, recruited Callum about four years ago to investigate reports of newts in ponds near the budding biologist's house. 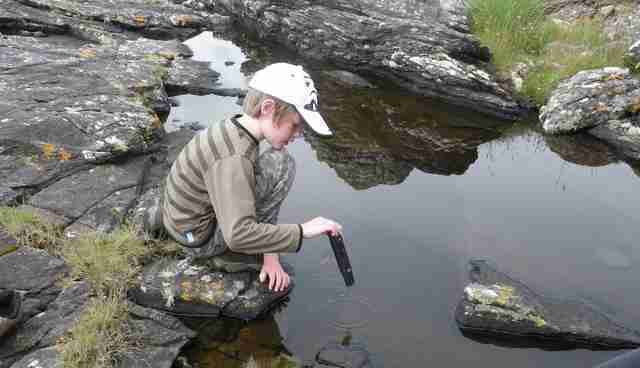 He found that Callum took "quite a scientific approach," even borrowing equipment to keep records of the salinity levels in the ponds. Callum found that newts could tolerate exceptional levels of salt - for an amphibian, at least - in their Highland habitats. 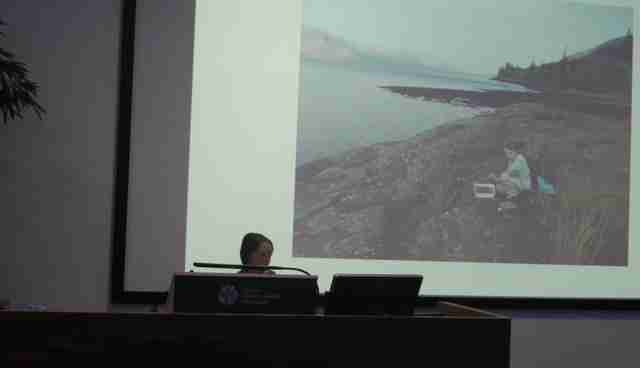 "Most amphibians react very badly to saltwater," O'Brien says. When roads are salted in the winter, he points out, that poses a problem to breeding frogs if the minerals are swept into ponds. Given their proximity to the sea, the Scottish ponds near the inlet of Loch Alsh are salty. (They're not as intense as an estuary, but they're no fresh country lakes, either.) That newts could survive unusual salinities had been noted once before, by a biologist in the Netherlands. But to hear O'Brien say it, the previous observation was a note in a paper, rather than a full inquiry. In some ways, Callum's approach is "more scientific than the scientist" was. He left the symposium with a host of questions to explore, such as what happens to the juvenile newts, called "efts," in the autumn. "I'm always going to be fascinated by the palmate newt," he says, though he's also expressed an interest in turtles - and rhinos. "Not that we've got many of those in Scotland," O'Brien says, "but perhaps he'll want to go someplace warmer." All images courtesy of Janet Ullman.